Provide comfort for the family of Barbara Soriano with a meaningful gesture of sympathy. 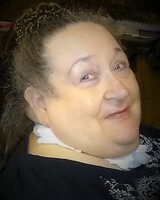 BEACON – Barbara Marta Soriano, a resident of Beacon since 2017, passed away suddenly on Wednesday, April 3, 2019 at St. Luke’s Cornwall Hospital in Newburgh. She was 68. Daughter of the late Marian and Filomena (Ginter) Prokop, she was born in Legnica, Silesia, Poland on January 30, 1951. 1968, she emigrated to the United States, where she settled in the Maspeth section of Queens and later relocated to Brooklyn. She worked for many years as a clerk for the New York City Department of Transportation. Barbara loved spending time with family, and also enjoyed watching tv shows and foreign films. At family gatherings, she always enjoyed helping prepare and cook meals. In 1971, she married Raphael Soriano, who predeceased her in 1987. Barbara is survived by her son, Raymond Soriano (Amie Falco-Soriano) of Glendale; her daughter, Linda Soriano-Malave (Anthony Malave) of Beacon; her daughter, Nancy Soriano of Fishkill; her grandsons, Jason and Anthony Soriano; her sisters and their husbands, Alice & Stanley Malaczek and Renata & Mitchell Kwiatkowski; also many nieces, nephews, other loving relatives, and friends. In addition to her husband and parents, Barbara was also predeceased by her grandmother, Marianna Ginter; her sister, Nina Prokop; and her nephew, Steve Kwiatkowski. Calling hours will be held from 2 to 6 p.m. on Sunday, April 7 at the McHoul Funeral Home of Fishkill, Inc., 1089 Main Street, Fishkill. A Mass of Christian Burial will be offered at 10:15 a.m. on Monday, April 8 at St. Mary, Mother of the Church, 106 Jackson Street, Fishkill. Interment will follow at Calverton National Cemetery in Long Island. For online tributes, you can visit Barbara’s Book of Memories at www.mchoulfuneralhome.com. Consider providing a gift of comfort for the family of Barbara Soriano by sending flowers. My sister Basia ,she was full of life... loved her family and friends. She loved to be with people, l will miss you tremendously , rest in peace in heaven with angels and family who went before you... love you always your sister Renia with Mietek.